Burnt Soviet KV-1 heavy tank of rare modification. 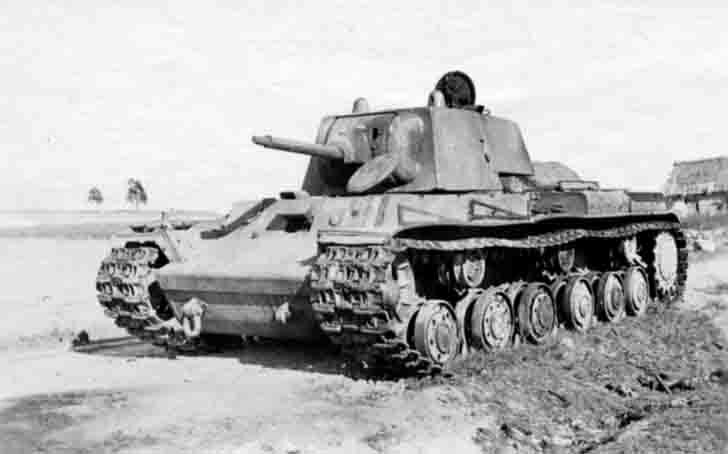 This is a rare instance of the KV-1 heavy tank – a tank with a 76.2-mm L-11 gun. L-11 gun was mounted to the KV-1 heavy tanks of the first releases of the serial. Subsequently, L-11 gun was replaced with a 76-mm cannon F-32, and the autumn of 1941 – in the gun ZIS-5 with a greater length of the barrel in caliber 41.6.